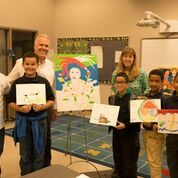 When he contacted the school to see if they would be interested in the project, they were very interested and informed him that this particular elementary school just had its art program reinstated that year! Cunningham sent the art teacher some information on the artist and his art. 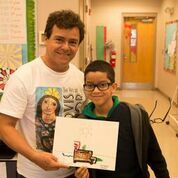 When they a rrived on the appointed day, one of the students couldn’t hold in his excitement and shouted, “It’s the famous artist from Brazil!” Clovis worked with five different art classes throughout the day. First, he talked about his art and taught the kids a few phrases in Portuguese. Then the students created their own paintings as he did a demonstration painting that he left with the school as a keepsake of his visit. The professor of English as a Second Language for Academic Purposes (EAP) at Valencia College’s Osceola Campus is using his Tupperware Corporation Chair in Community Quality to bring in a visiting Brazilian artist: Clovis Junior. 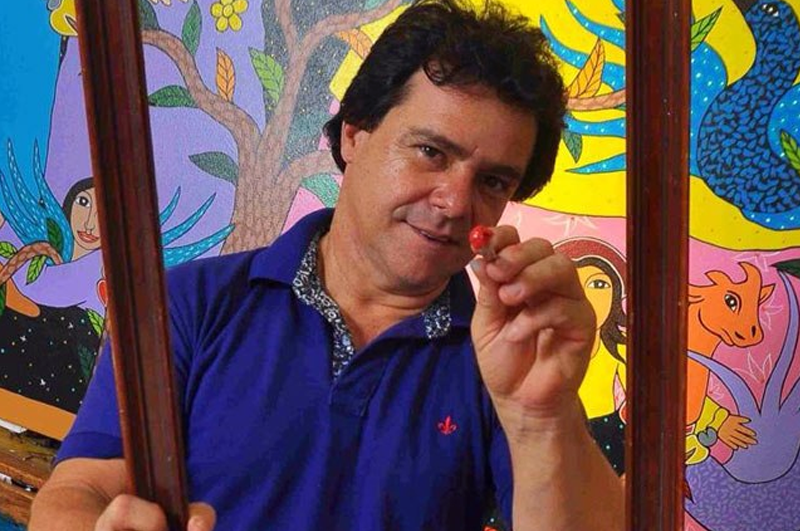 The artist is well-known in Brazil for his outstanding use of vivid colors, painting scenes that depict Brazilian folk heroes, and for the use of the cashew fruit in his paintings. 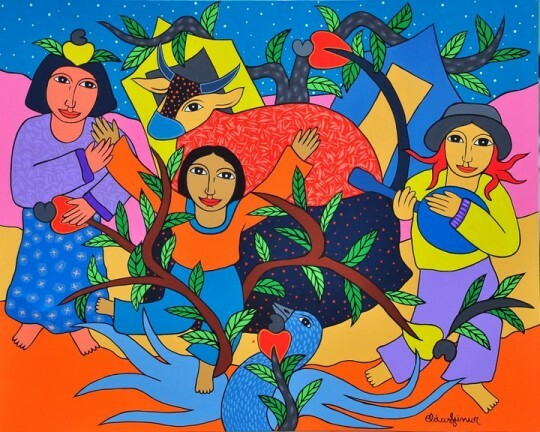 The cashew tree is native to the northeastern region of Brazil where the artist lives. It is a large spreading tree that is rapidly losing its habitat to development. Clovis strives to raise awareness of this issue by including a depiction of the cashew fruit in each of his works. “I feel strongly that bringing art into a community improves the quality of life,” says Professor Cunningham. Clovis will exhibit his paintings on both the Osceola and West Campuses during the week of February 22-26, 2016. The exact dates and locations are yet to be determined. Clovis will give an art class at Central Avenue Elementary School. 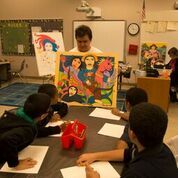 During this class, the elementary school students will work with the artist to complete their own painting. Both Clovis and the student will sign their paintings. In addition to having a healthy dose of creativity during the class, the students will also be exposed to Brazilian culture and learn a few phrases in Portuguese. Clovis will leave one of his paintings for the Valencia Foundation to be auctioned at the next Taste for Learning. The proceeds of the sale will go to student scholarships. As well, “the artist will interact with our partners in the Brazilian community, and students in Valencia’s art, humanities, and foreign language programs, who will act as local guides and volunteer translators,” adds Cunningham. 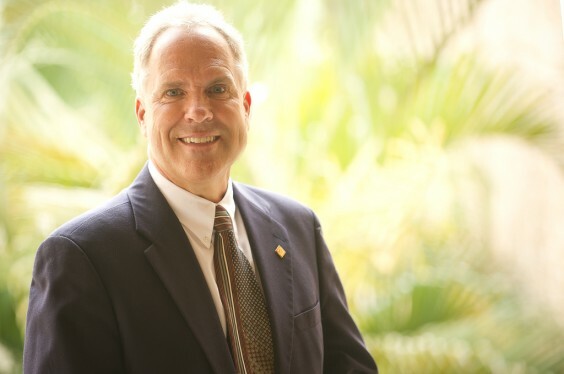 This year, Professor Cunningham completed his 15th year at Valencia College as a full-time professor of EAP. He received tenure in 2003. He received his bachelor’s degree in Paper Engineering at Western Michigan University and his master’s degree in Teaching English as a Second Language at Michigan State University. He has also taken classes at the University of Belgrade in the former Yugoslavia. More recently, he has studied the Portuguese language at PUC in Rio de Janeiro, Brazil and at UFOP in Ouro Preto, Brazil. Professor Cunningham teaches at the Osceola campus. The William a nd Doris Paisley Memorial Music scholarship was established in 2012 with its first two scholarships awarded in October of 2013. Since then, it has funded three other scholarships—the most recent two awarded last week. The scholarship exists to honor the contribution of Doris Paisley, a concert mistress violinist for years with the Altoona Symphony Orchestra in Pennsylvania. She was also the violin teacher for Valencia professor Neal Phillips; Mrs. Paisley took Neal in as her youngest student ever at age 6, and he studied with her for 14 years. When Mrs. Paisley passed away in 2012, Neal wanted to honor his teacher, and with the help of Donna Marino and Geraldine Gallagher via the Valencia Foundation, he was able to establish the music scholarship. Professor Phillips funds the award through the Valencia Foundation at a goal of $1,000. As the award is given annually, notice is given to music students in September; students are eligible to apply if they are declared Music or Music Education majors and plan to pursue the degree at a four-year university upon graduation from Valencia. As part of the application, students must detail their histories of musical experiences, write an essay explaining how the scholarship would benefit them, and submit a 10-minute video of a solo performance on their primary instruments. Additionally, students must have a 2.0 GPA. After the application period ends, the scholarship committee selects a winner, and fortunately, there has been enough scholarship money available for two winners in 2013 and also 2015. The five winners have received a total of $5,000 over the past three years. In more than one case, this has allowed a prospective music major to continue with schooling he/she may have had to postpone due to lack of funds. Professor Phillips’ goal is to continue to fund the award as long as he works at Valencia and even after, so music students will be benefiting from this for many years to come. The scholarship is awarded as part of the Instrumental Music Scholarship, with Professor Phillips’ contributions made in honor of William and Doris Paisley. This year’s scholarship winners are first, Vedda Kangalova, an international student from Bulgaria who specializes in violin. The picture (above) is of her tutoring Stenstrom Elementary (Oviedo) students with Valencia’s 3D printed electric violin, first of its kind. 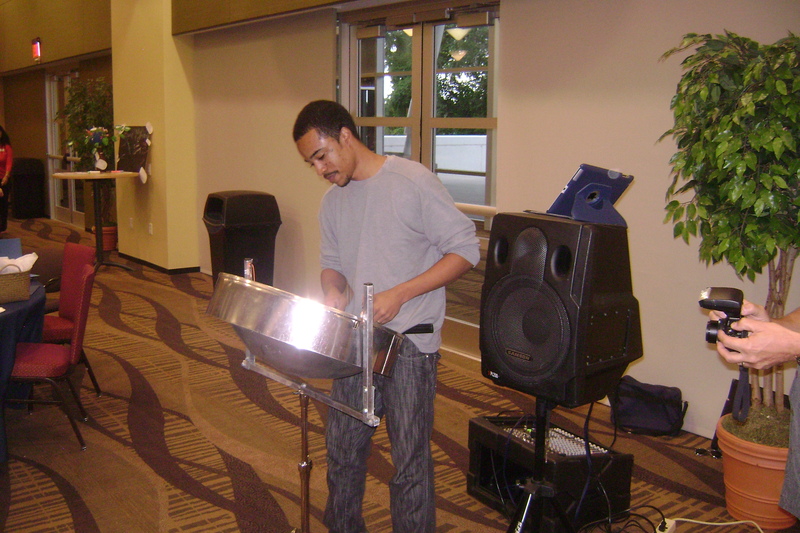 The second winner is Khalid James, originally from the Caribbean, who specializes in both trombone and steel pan drum.